Do you have a Downtown Fargo gift card burning a hole in your wallet? With so many wonderful places to shop Downtown Fargo, it’s easy to get overwhelmed by all the options! We thought we’d help your decision-making process out a bit by showcasing FargoStuff’s 5 Top Sellers! “Dontcha know how popular these mugs are up in Fargo? Fer cute!” Fargo lingo – it’s one of a kind. These Uffda mugs make a great souvenir from Fargo! We’re the Frozen Chosen, and Uffda, we’re proud of it. We LOVED seeing that one of our top-selling products is one that benefits an awesome non-profits! Want more information on these shirts? Read about it in this blog! Buy a shirt and support the Ronald McDonald House! It’s true. We’re famous for our theatre. The Fargo Theatre (built in 1926) is an iconic building in our neck of the woods, and we love celebrating it. 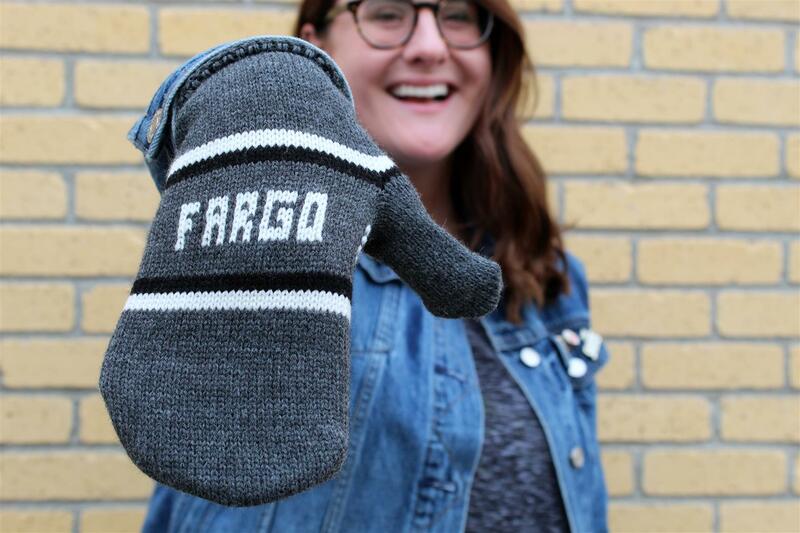 Did you know that with every Fargo Theatre-branded item, 10% of the profit goes to the Fargo Theatre? 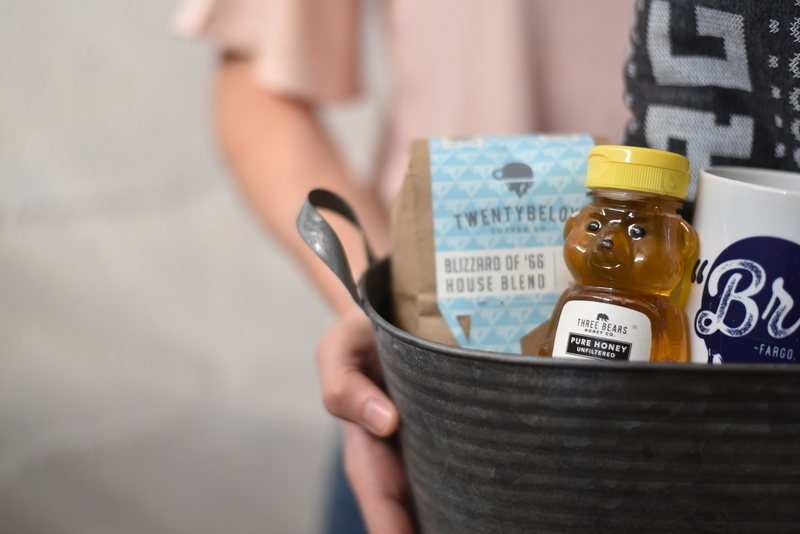 With this basket, you’re getting all sorts of Fargo Theatre love. It makes a perfect gift, and comes complete with delicious local snacks! It makes sense that these adorable mittens made the Top 5 - it’s too cold not to have them! It was a high of -6 last week. Bundle up, Fargo! These magnets originated as a free “goodie” that we included in each FargoStuff purchase. Well, our customers liked them so much they started purchasing packs of them! Don’t worry, you’ll still get a free “thank you” Fargo magnet in your purchase, but they’re available in packs of ten!